Personal insights and opinions from Gensler's global experts on how design is shaping the future of cities. An archive of past blog posts can be found on GenslerOn. Cities are magnets for those who seek better jobs, opportunities, and more diverse communities. But does city life make us happy? We look at some of the basic building blocks for a better, happier city. A group of young architects and designers at Gensler Houston are proposing big, bold ideas for the future of their city and beyond. Pop-up, temporary, and semi-permanent public space projects have evolved past being mere experiments. They now form a substantial part of urban business operations that governments and developers are championing, but until recently policies around temporary use of the urban realm have been murky and difficult to navigate. For the 22nd installment of DIFFA New York’s Dining By Design, design firms across the city mobilized to produce 23 carefully curated dining vignettes that raise awareness for individuals impacted by HIV/AIDS. Gensler New York’s 2019 design concept, titled “You Are Beautiful,” served as a celebratory reminder to all those individuals living with HIV/AIDS that they are not alone in their fight. It’s time to end the debate about whether offices should be an open or closed environment. New data from Gensler's 2019 U.S. Workplace Survey provides answers to how open the open office should be. How Do We Accommodate Traveling Service Animals? In order to make travel more accessible for all passengers, airports are required to provide relief areas for use by service animals. The definition of a service animal has expanded and contracted over the years and, as such, it can be challenging to understand how to best serve their needs. As the office landscape continues to evolve and companies grant their employees more freedom and choice to work where they like (whether inside or outside the office), Gensler's research shows that the amenities with the greatest impact on effectiveness and experience are those that directly support the work needs of individual employees and their teams. Transitioning to an open plan doesn’t have to be intimidating. In fact, if it’s an office layout where you have a range of spaces to support focus and collaboration, you'll likely be even be more effective and productive. It’s time for a new narrative around work and the workplace — one that reflects the realities of the needs and desires of today’s workers and the diversity of the modern workforce. Not-for-profit employees are four times more likely to be motivated by mission than the average employee in another sector. Our passion for supporting these workers led us to embark on a thought experiment: What would a utopia look like if it were designed for the not-for-profit employee and their individual sense of purpose? What does the explosive growth of shared electric scooters tell us about the changing dynamics of city life? And how can we better shape the city of tomorrow to respond to new modes of mobility? The disruptive impact that Transportation Network Companies and app-based rides have had on airport curbsides has been significant. While companies such as Uber, Lyft, and Wingz are becoming more commonplace, many airports have been caught off guard. Now they’re scrambling to catch up. Data and AI are being invisibly woven into everything around us. As we move towards an intelligence economy where data is a raw material, we have an opportunity to take a new approach to design. As we approach a new normal for urban density, the cities that are best positioned for the future are evolving along a decentralized, multi-nodal model. The concept of smart cities might be shrewd marketing on the part of tech companies, so what does it mean for a city to truly be “smart”? Fueled by science fiction, biometric screening has long been associated with a futuristic society. Today, governmental agencies, airlines, and airport operators are all exploring the technology as a means to both increase security and improve passenger processing. Façade design is one example where performance, technology, and code changes come together to positively impact the environment; and our first targets in this endeavor should be existing building stock, where a vast majority of our energy consumption originates. When Phil Washington took the helm of the LA Metro in 2015, he spoke about connecting transit-oriented communities — not transit-oriented developments — and kicked off a critical shift in the way we think about transportation investments, land use, and development in LA. Many of today’s travelers spend more time in the lobby than in their rooms — and, with a mix of hotel guests and locals, today’s lobby feels more like a neighborhood coffee shop than a hotel entry point. Today, the lobby must be a vibrant, 24/7 revenue-generating space designed for a mix of different uses. From GPS-enabled electric scooters, to driverless cars, and even aerial ride-share services, disruptive mobility is on the rise. With the explosion of these services, it’s critical that we build a common language of understanding as we shape a vision for the cities of tomorrow. Harbin Bank’s new headquarters in Beijing is both aesthetically pleasing and high performing. By maximizing natural daylight and energy efficiency, while minimizing harmful particulates, the building serves as a climate-responsive solution and an elegant example for the city. Global carbon emissions reached a record high in 2018. As the math of climate action suggests a growing gap between countries’ action pledges and their measures to limit global warming, the question for our industry becomes: how do you approach sustainability design in a world where arresting climate change no longer seems possible? Winning the War for Talent: Could Your Workplace be Doing More? With the labor shortage in the U.S. expected to continue for years, leading organizations aren’t waiting for their next lease renewal to enhance their physical workplace. Instead, they’re exploring ways to leverage it as an asset for attracting and retaining talent. In the design world there are a lot of buzzwords we hear every day: experience, purpose, disruption... But what about advocacy? Physical space can and should be a catalyst for issue advocacy. Space has the potential to inspire, and it can be the gateway that initially connects people to an issue or cause. Now in its 18th year, the Gensler Design Excellence Awards (GDEA) program sets a standard that all our design teams can aspire to. Within our global firm of more than 6,000 employees, the annual program is a purposeful tradition that nurtures and elevates our design culture. When planning a new office in La Crosse, Wisconsin, Gensler became the client, rather than the design team. A year after moving into the space, Managing Director Joan Meyers reflects on three things she would have done differently during the planning process. Fire and unhealthy indoor air are global issues. What can we do to improve air quality in the environments we design? And how can we do it in ways that help mitigate, not exacerbate, global climate change? If there’s one clear lesson from the recent National Climate Assessment, it’s that we need to anticipate and prepare for extreme weather-related events, rather than simply react to them. At Gensler, we believe that the building industry has an obligation to help communities prepare while leading the charge against climate change. 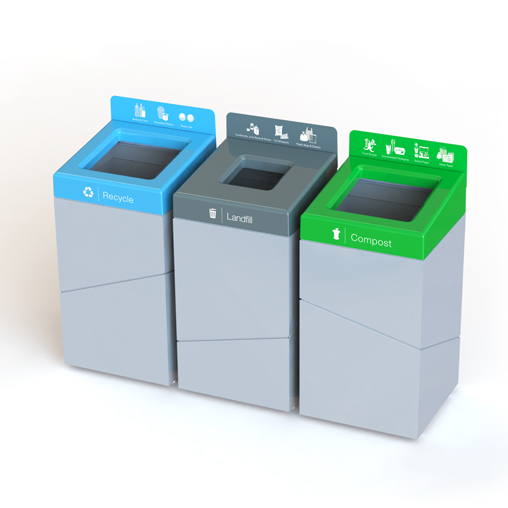 If the team at San Francisco International Airport is to reach its zero waste goal in the next three years, the airport's facilities must be able to efficiently sort out renewable or reclaimable materials. But if these items are consistently ending up in the wrong bin, then the point of failure in the system seems obvious: the airport just needs better bins. The effects of climate change are increasingly evident—and urgent. What can we do to create resiliency and mitigate the impact of these increasingly frequent and powerful events? For many organizations, from technology to finance to sports teams, Customer Experience Centers (CECs) are the catalyst for developing and fostering customer relationships. Without an existing standard, properly identifying all-gender restrooms in signage and wayfinding through use of an effective symbol is crucial. But designing a symbol for an all-gender restroom can be a potentially contentious conversation, inviting input and commentary from many viewpoints. Our increasingly complex world offers an ever-expanding number of factors to consider when designing. By using networked devices, we can capture signals within our created places and measure everything from lighting power usage to occupancy rates and electrical plug loads. As global leaders come together to address how the collective community can help reduce CO2 emissions, we understand our role within this conversation, too. 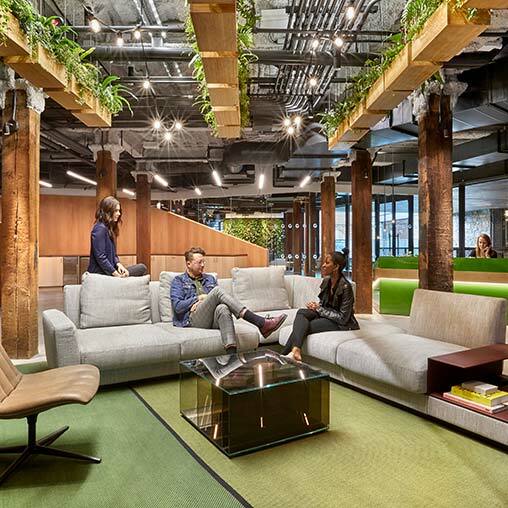 For tomorrow's workplace, the prime differentiator will be realizing a firm’s cultural promise through the physical form and sequence of its space. If a constant shuffling of desks in your workplace seems like it’s become the new norm, you’re not alone. No two employees or companies are exactly alike. It’s a good idea to remind ourselves of these individualities before jumping to any conclusions. 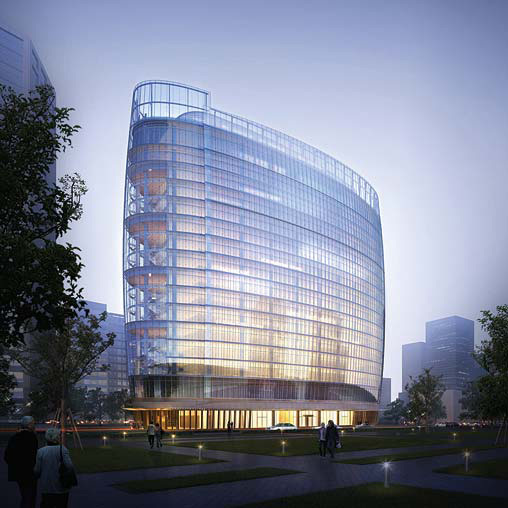 Working with Johnson Controls on their new headquarters in Shanghai, we knew at the outset that the building would incorporate cutting-edge sustainable mechanical, electrical, and plumbing systems, as well as intelligent building features. As companies seek to gain efficiencies in the workplace, provide choice for employees, and attract and retain talent, strategies involving agile working and free-address have gained traction. As our lives become more digitally connected, there is not a moment uninterrupted by the desire to post something unique or exciting, leading to an ever-growing demand for photo opportunities to share. When we started thinking about our expansion space for Gensler Atlanta’s office last May, we wanted to build an environment that would continue to inspire a creative culture, where each individual’s ingenuity can be unleashed and turned into works of collective genius. What do we do when gas stations become obsolete? Turn them into fuel for our bodies instead. The big question is, once you secure outstanding talent, how do you keep the creative juices flowing and help employees feel more connected to their company’s culture? Today, the goal of every project we design at Gensler is to make a positive impact to peoples’ experiences. Innovation is an overused word and an underexplored practice. Because every project we work on is either part of the problem or part of the solution, we made a commitment to measure the environmental impact of our work, and publish the results to drive discussions about the best ways to make progress in the future. This fall, the Building Owners and Managers Association International (BOMA) will release the latest version of its Office Standard, which provides a uniform basis for measuring rentable area in both existing and new office buildings. The wellbeing of your employees is a business strategy aimed at increasing productivity, enhancing engagement, and improving overall health and happiness in the workplace. Workplaces are shifting from endless rows of cubes to a free-address work environment that allows you to work anywhere and everywhere. You are no longer tethered to an office or a cubicle. Why the shift? Are Law Firms Ready to Work Remotely? The legal industry and most other industries are reshaping their workplaces. The most innovative of the bunch are taking less space and collaborating more. The right work environment is an incredible tool for facilitating change. Successful business leaders realize that having engaged employees is not an HR program, but a core business strategy. When it comes to the digital revolution’s impact on place, people are the prime movers. A look at sketching in the digital age with Doug Wittnebel. Gensler's annual Design Excellence Awards help helps set a standard that all our design teams can aspire to. The 2016 program recognized an array of praiseworthy projects, representing various typologies. We documented the historical, political, legislative, and cultural impacts of designing gender-inclusive restrooms; and to identify best practices for inclusive restroom designs. We believe human experience is the future of design. People are the one constant in this era of dramatic technological change, demographic shifts, global volatility and climate change. When it comes to space and occupancy management, an accurate floor plan can do more than just represent the physical space. The workplace of the future is more about ‘how’ we work; bringing people together to collaborate, innovate, learn, and socialize. The ability to drive new innovation is becoming an essential requirement for organizations to stay competitive today. All the signs point to the same realization… disrupt or be disrupted is the ethos of our time. Vibrant communities are the building blocks of our fast-paced, increasingly urban world. To help cities thrive, these communities must be connected, resilient, healthy and inspiring. Data can have a huge impact on strategy and profitability. Our firm revolves around a shared commitment to design excellence and a culture of entrepreneurial self-sustaining leadership. While utilization is an important metric to inform how frequently a space is used, it’s important to consider another key piece of data for strategic planning: activity data. As more companies move from dedicated seating to free address, questions about space utilization and cost can become a greater focus. What makes a world-class airport? Gleaming new terminals are rising in next-generation cities across the globe; and with these come growing expectations of the airport experience. To remain competitive, legacy regional and national airports are asking: What makes for a world-class airport today? Retail health is emerging as a means for delivering quality, convenient care to millions of consumers; it’s also model for healthcare systems to consider when expanding their networks or extending services to reach new patient populations. Open spaces – the parks and piazzas that give cities a sense of character and community – are in short supply. To ensure cities remain livable in an urbanizing world, new perspectives on public space are needed. One approach is to look beyond the ground plane. Gensler Principal Maddy Burke-Vigeland sat down with Art to talk about his experience as a student at Cornell, and explore its influence on his architectural career. Gensler has launched an initiative to explore the impact of academic incubators on universities, businesses and communities. Leveraging global expertise and insights in workplace and higher education design, we seek to understand what separates successful incubators from those that fail and to share these findings with our clients. Gensler's annual Design Excellence Awards help propel the quality of design ideas and solutions we provide clients. The 2014 program recognized 23 praiseworthy projects, calling out five for exceptional design achievement. The desire to work in a physical environment surrounded by other people is why libraries remain important places for studying and performing individual work. The annual Gensler Design Excellence Awards set a standard of quality, raise the visibility of our top projects and generate conversations about design in Gensler offices across the world.